Go to http://minimalpixel.tumblr.com for more details! 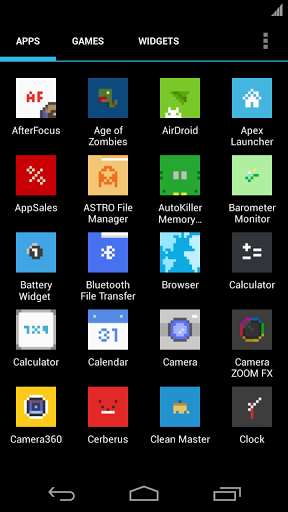 You will need a compatible launcher that supports custom icon packs. Compatible with Go Launcher, Apex Launcher, Nova Launcher, ADW Launcher, Holo Launcher, Action Launcher, Smart Launcher and more. Note that this is not a standalone app. Apply icon pack from launcher’s settings after install. 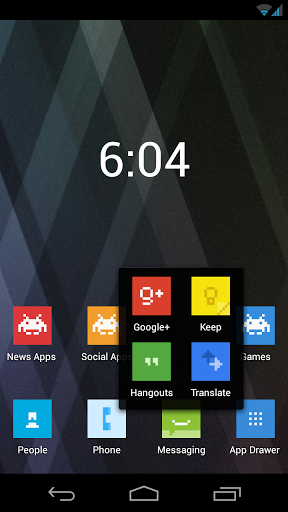 Custom icons such as Space Invaders and more. Apex Launcher and Nova Launcher Prime: Place shortcut on homescreen > Long press on shortcut and select Edit > Press on the app icon > Select (from) Icon Pack > Select Minimal Pixel > Choose the icon you want to apply.